We have planned quite a lot of releases over the next weeks and months. One common request we get from customers is that they would like to get hands on new features and BETA versions as early as possible during development. As we depend on customers to support us during the entire development process, that seems a very reasonable request and also the most direct way we can build our products with those who care the most. Further, limiting some BETA releases to customers lets us iron out bugs before releasing it to trial users, and thus allow us to focus our resources on developments, rather than trial-user-support, in times of rapid release cycles. Thus, from now on some BETA releases will be exclusively for customers. 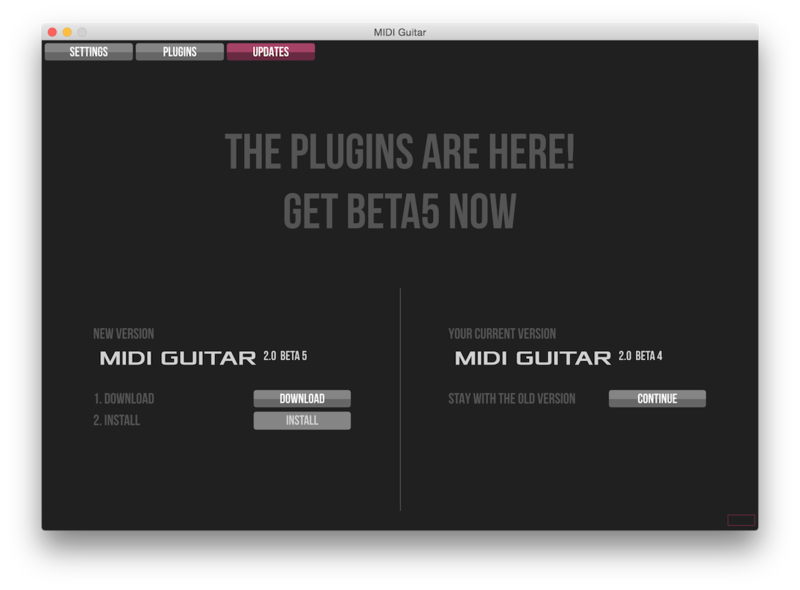 The first is BETA5 which includes the plugins (VST and AudioUnit, 32- and 64-bits) and a preliminary support for alternative tunings (drop D only for now). Generally we will try to keep a quick release cycle for customers, and a slower one for everyone else. The downloads page is a good place to get an overview of releases. Because of this change, the BETA5 update will be a bit inconvenient, but its only this time. To get BETA5 you will need to download BETA4, which will pop up a dialog where you authenticate (with your email) and you will get a link to BETA5. In upcoming releases, and in all future, the “check for updates” service will pop up a download dialog whenever there is a new release (if you enable it).